T is for Thomas & Friends // #ThomasTime - It's Gravy, Baby! 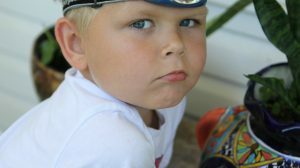 For Bryson’s 4th birthday last year, he asked for a Thomas & Friends party. Of course, that didn’t come as a surprise to anyone because he is crazy about Thomas the Train. I had so much fun planning and shopping for his special day knowing how much fun he was going to have. Justin and my dad built two train tables for the kids, I purchased plenty of Thomas decor, ordered a Thomas cake, and then we surprised him with a new track set and Tidmouth sheds. Much to his delight, he received several new trains and and buildings as gift from our wonderful friends and family. Thomas might as well be a part of our family, so it only make sense for us to include him in our preschool time. Do I sound like a broken record here? That’s because I believe reading to your children is just that important. What better way to get them interested in books than to read about something they love!? I enjoy creating themed units for our preschool weeks. We focus on one letter per week, so for “T” week, we can incorporate Thomas and trains into our learning. I always start by sorting through our books to find some that match our theme and then we head to the library to fill in any gaps. 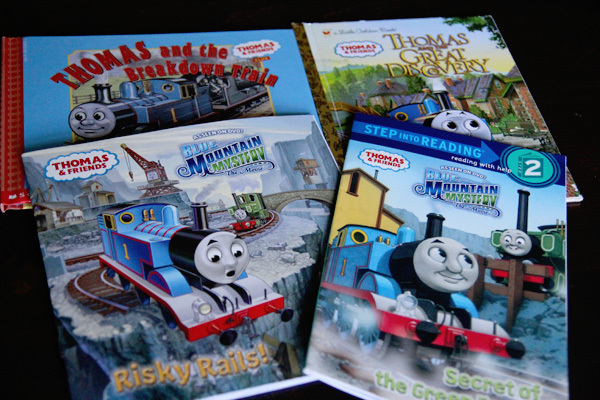 With a huge Thomas fan in the house, we have quite a few Thomas & Friends books! We have a large collection of Thomas & Friends trains and there is nothing Bryson loves more than for his mama to get down in the floor and play trains with him. It is the one thing he asks me to do most and his entire face lights up when he gets that one-on-one time with me. 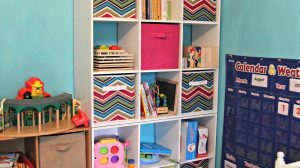 Learning doesn’t have to be forced and can come naturally through play. It can be as simple as saying, “Can you find Henry? Henry is green!” or “How many cars can Thomas pull? Let’s count. One. Two. 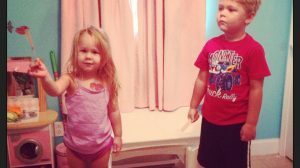 Three!” It’s fun and learning and all it takes is little time to focus and be intentional with your children. As Bryson has gotten older, I’ve watched his track building skills develop immensely. He had just turned 3 when we bought him his first Figure 8 set and he was challenged and turned to us for help putting it together. 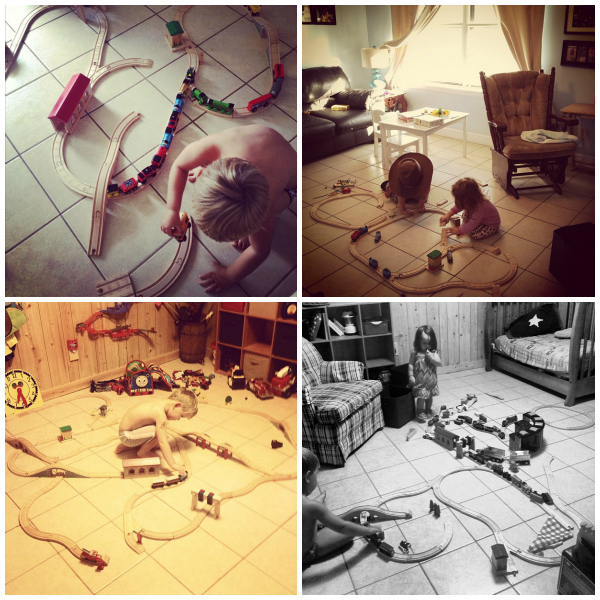 Since then, he has become a master track builder, often running tracks all around a room and down the hallway complete with bridges and tunnels. Through trial and error, he has learned how to make the pieces fit just right and how to turn his vision into reality. It’s so fun for me to watch him as he focuses on building each track. Thomas has been a part of our daily lives for almost 2 years now. 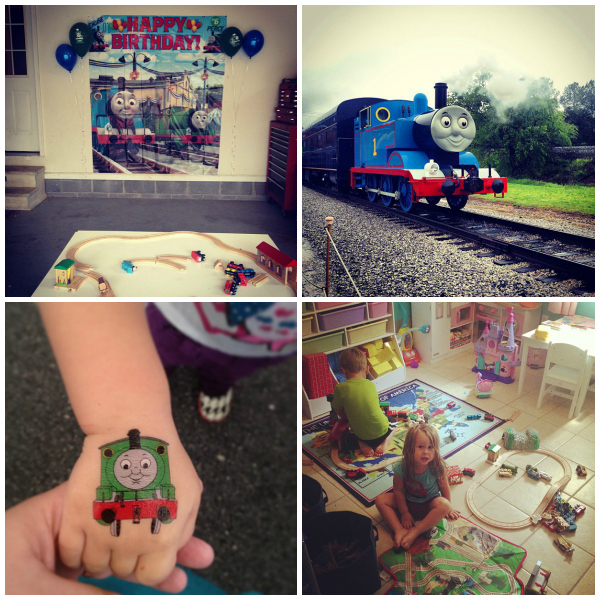 Whether it’s train track building, reading, watching on Netflix at home or on the go, bath time play, birthday parties, or attending Day Out with Thomas- in our house, any time is Thomas time! You connect with Thomas and submit your own #ThomasTime photos on Facebook.